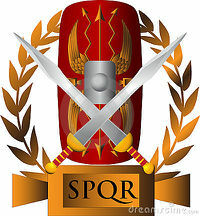 Born from the ashes of lesser nations, the Roman Empire was risen. From its conception at the hands of those of Aeneas's divine blood, Rome was a nation of conquest, a nation of gods, a nation of heroes. It is from these legendary heroes that true warriors rise, those with the courage and honor worthy of Godville. It is from these ranks...that Immortals are made. Lorem nobilis artis, Roma Immortales! Sanguine nati sumus, reversi sumus gloria. 3.3 How Can You Help? Congratulations to the first elected and re-elected leader of the Immortals of Rome: Jimmons! It took a few elections since the revival of the guild back to it's glorious roots for an election to finally yield a champion. Many thanks to all those that voted, no-matter for whom they voted, we are all glorious Immortals! Welcome to the Immortals of Rome! Poor Google translations aside, we are a proud guild of a plethora of heroes from all backgrounds, from the urban metropolis of Godville, to the ramshackle streets of Beerburgh. Unlike some guilds, the Immortals do not discriminate by alignment. While the Immortals are generally known for their humane tendencies and virtuous deeds, we welcome all aspiring heroes, good, evil, undecided, unemployed, deceased, undead, or miscellaneous other. It matters not for what cause you may choose to fight, only that you bring glory and honor to yourself (when you're not busy drinking away in a tavern somewhere), your patron deity, and above all, to your fellow Immortals. As a premier Godville guild, we offer extended benefits for all of our members, be it in the form of gold, healing, coupons for merchants, veterinary care, etc. Should you believe that you are worthy enough for joining the illustrious ranks of the Immortals, all you need to do is deliver word to your hero. As per standard guild recruitment procedure, you must simply activate the voice of god and command your hero to Join the "Immortals of Rome" Guild. Please note that your aspiring hero must be at least rated level 12 in order to even be considered for recruitment as an Immortal-to-be, due to stringent Godville regulations. Your champion tends to be much more receptive to your divine word during idle moments when not busy carrying out some mundane task or slaying some base creature (i.e. when they aren't questing or killing animals). While all Immortals may be courageous and heroic beyond belief, they do have a tendency to become, well, bored. As such, they may conclude with their not-so-bright bulbs that it is better to leave the guild, a rather annoying notion that will continue to plague them well into their cardinal years. So what, you may ask, is the benefit of being an Immortal? The title of "Immortal" is so widely feared and respected amongst all towns, that there is a chance that the commoners will grovel at the feet of your hero and shower them with tributes of gold and silver. The Immortals are among the most popular guilds in Godville. Such fame can bring only good fortune to any aspiring hero! Traders and merchants of every stripe may gift your hero with free gear or gold- compliments of the Immortals. Liver replacement discounts! Let your hero's drinking problems trouble them no more! The Immortals are renowned for their notorious drinking binges, and as such our doctors offer regular customer discounts to any and all who join our ranks. Choose from a wide selection of premium monster livers, such as Solar Bear, Dandy Lion, Grayscaled Dragon and more! Did we mention free gold? Please note: Influencing your Immortal in town (whether by showering them with divine grace, or simply smacking them with lightning for their ineptitude, it matters not) leads to a greater presence of the guild in that town, meaning even greater benefits for you. So do so often! So have your virtuous champion quit that foolishness of joining another guild, and stay true to the Immortals! Influence. True Immortals never die, not because they are invincible in battle (as seen quite evidently when our own heroes' foolishness leads to their demise), but rather because their names are known far and wide. Honor your fellow Immortals by performing influences in town to boost the publicity (and power) of the guild. Be active. The Immortals' community stays strong because of its Immortals. Post on the forums. Tell your godly friends. Commune with the divines of your other Immortal deities in the Guild Council. Have fun! After all, the game of life is still a game. So have fun coercing your Immortal into doing menial, mundane, and tedious tasks for your own entertainment! "Out of the night that covers me, Black as the pit from pole to pole, I thank whatever gods may be For my unconquerable soul. In the fell clutch of circumstance I have not winced nor cried aloud. Under the bludgeoning of chance My head is bloody, but unbowed. It matters not how strait the gate, How charged with punishments the scroll, I am the master of my fate: I am the captain of my soul." Only the best and brightest of the Immortals are chosen to be Immortals of Lore, divines so inspired and heroes so influential that the guild is honored to have them. While the Immortals are all worthy of praise, these esteemed divines represent the pinnacle of what the Immortals strive to be; loyal, courageous, and overall role models for which all aspiring Immortals should choose to follow. Those who wish to join these ranks must not only have helped the guild in the ways mentioned above, but have also gone above and beyond to aid the Immortals. Jimmons His Esteemed Imperial Majesty. Jimmons was defacto leader of the guild for nearly a year until made official via the first guild election. Fifth Immortal to complete their Temple in Godville, and first to complete construction on a glorious Ark. An active member for 4 years, Jimmons lead the Immortals to a new reinvigorated heights after the fall when many of the Old Guard moved on from the celestial plane. Before his leadership position, he was the Immortal record-holder for most liver transplants! With over 138 liver replacements under his heroines' belt, his heroine Lady Zapp is destined to build Godville's first liver temple built entirely out of used, alcoholic livers. Robin Uglin Second in command during Jimmons early leadership time, Robin's ever-eager spirit and commitment to the guild was instrumental to helping revitalize the Immortals after the departure of so many of the old guard via attrition. Robin became the first Prophet of the Second Era. Rocketpilot Esteemed Invictus and constructor of the 2nd Immortal temple, 3 days after the first was made by Zerbey. One of the few remaining old guard, though no longer active amongst the council. St jero Another of the old guard Invictus, still kicking around and helping the guild when needed. All-my-tea A grand Second Era inductee to the Immortals and active contributor to the guild. Have a question for the heavens, All-my-tea answers. Pikapooh Another of the Second Era council stars. Active in raising the guild in glory and always ready to help a fellow Immortal. Spirit of Rome Our founder and first emperor, His Esteemed Grandeur, Spirit of Rome. Due to unforeseen circumstances and ill fate, he left the Immortals, but it was in the heart of everyone in the Cursus Honorum to welcome him with open arms on the day of his inevitable, and glorious return. After His return and second departure to Elysian Fields, the fate of the Spirit is unknown. Helen of Troy Former de facto leader of the guild. Helen was the first to achieve the much coveted patriarchy, succeeding our founder, Spirit of Rome , as the 2nd Immortal Emperor. Gilboa His Esteemed Eminence, Gilboa, was the second in command to the Empress Helen. Second only to Helen in seniority, Gilboa was the supreme military commander of the Immortals. Iulius His Esteemed Virtue, Iulius, was fourth in seniority in the guild and supreme legislative officer and keeper of official Immortal lore. He also maintained the wiki and was a vocal member of the guild council until his departure. Kayshan Her Esteemed Enlightenment, Kayshan, was a senior officer in the service of the Immortals, and an active participant in guild affairs. A model of civility and responsibility that all Immortals should strive to imitate. Momma Lee Her Esteemed Wonderment, Momma Lee, was a relative newcomer to the imperial court, but has served the Immortals faithfully for ages. A supreme representation of the sense duty and loyalty all Immortals should share for their guild and fellow guild-mates. Marcus Antonius His Esteemed Honour, Marcus Antonius, was a relatively young Immortal, fresh and eager-faced. However, this enthusiasm had not limited him in his quest for the glory of the immortals, and he became one of the most vocal and active members of the court. Zerbey His Esteemed Splendour, Zerbey was appointed Chief Pontiff and High Priest of the collective Immortal Pantheon, with his noble champion, Tiktik, being the first Immortal to ever successfully complete their temple. His dedication to the game as well as the Immortals is worthy of great mention and imitation. Mmorg Linguist extraordinaire, Mmorg joined the Immortals to help in his learning of English, and gained much more in guild friends as he rose within and aided others raise the Immortals of Rome to glory in the Second Era. This page was last edited on 28 October 2017, at 02:24.